Is it possible? 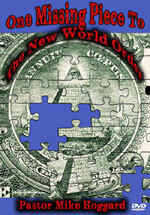 1) That this mystery lies behind everything from 9/11 to the collapse of the global economy? 2) That today God is sending America a prophetic message of what is yet to come? 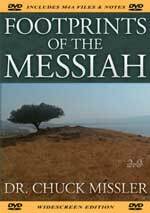 3) Before its destruction as a nation, ancient Israel received nine harbingers, prophetic omens of warning. 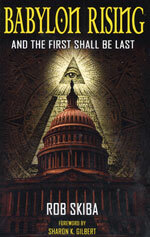 One by one, the same nine warnings are appearing in the world todaythis time on American soil. 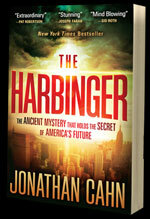 In The Harbinger these prophetic mysteries are revealed through an intriguing and engaging narrative. 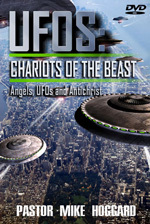 Blending actual biblical prophecy, historical events, and an action-packed story, this is a book you won't want to put down! 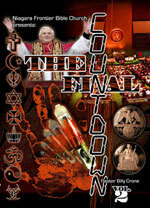 Is the next Pope after Benedict XVI the final Pope, the False Prophet of Revelation 13:11-18, and the world religious leader who will force all peoples of the earth to take the 'Mark of the Beast'? St. Malachy prophesied from a vision in 1595 that 111 Popes would serve and die in office; the 112th Pope would be 'Peter The Roman', 'PETRUS ROMANUS', the man whom the Bible calls the False Prophet, the Beast who has two horns like a lamb (Rev 13:11). 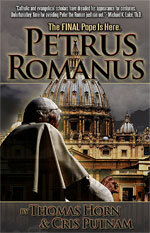 This book also reports: 1) The 60-Year-Old Jesuit Codex predicting the arrival of PETRUS ROMANUS in 2012. 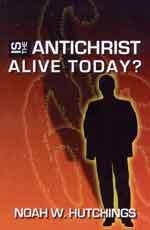 2) What Jonathan Edwards believed about the Kingdom of Antichrist and the year 2012. 3) The secret Vatican ceremony enthroning Lucifer as King, as reported by Malachi Martin. 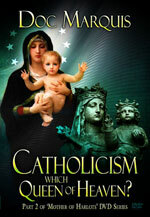 4) The Fourth Secret of Fatima and other suppressed Maian texts. 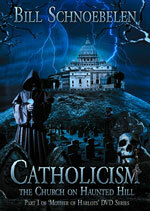 5) The secret in the US Capital and the Vatican tied to 2012, and the Dragon. I. How should American Christians choose their President? The Christian Worldview is much different than the secular, and that distinction should make all the difference in the world. "Democratic strategist Ryan Clayton says all sides are best advised not to try to use religion in the political arena. 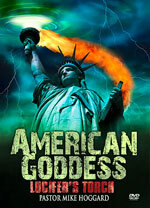 'Faith and politics, when you mix them together, it becomes kind of a tinderbox and it can explode in your face'." "A recent ABC News/Washington Post poll revealed that 80 percent of those surveyed said Romney's Mormonism is not a major factor in their decision to either support or oppose him." Should a candidate's religion matter to any voter when considering him or her for public office? Many people say "No", but then are immediately upset when the focus of the debate shifts to whether a radical Muslim should be elected to American office. I cannot tell you how often I see and hear people denounce President Obama for being a secret Muslim; they are really upset to think of how a Muslim would treat Israel or Christians for that matter, should he be given the opportunity to mistreat us. People of this mindset seem to understand that a Muslim President could make decisions based upon his Islamic values, but they then do not see what difference it might make to have a counterfeit Christian/Mormon as President. Since 2008, a number of Evangelical Christian leaders have publicly announced their support for Mitt Romney, even though he is Mormon. These leaders say that America needs a man who knows how to run an economy and create jobs. After all, they opine, America is NOT electing a "Religious Commander In Chief". Such Evangelical leaders should check their Bible to see how God chose a man to be King of Israel. Let us do this right now. Upon what basis did God choose the shepherd David to be King? God has told the prophet Samuel to go to Jesse the Bethlehemite, for one of his sons has been chosen to be King of Israel. Samuel looked at all Jesse's sons save one, and he was impressed by them all. Ahah! Now we understand. God chooses a leader because of his heart. In other words, God wants a leader of His nation to be a man whose mind, heart and soul are totally inclined toward Him and His commandments. David's prayer demonstrates this truth. Now, let us see upon what basis God chose Solomon to be King. God is speaking to young Solomon, giving him wise counsel. Let us consider all that God required of Solomon's heart and mind, as King. * "... know the God of your father, have personal knowledge of Him, be acquainted with, and understand Him; appreciate, heed, and cherish Him ..."
* "serve Him with a blameless heart and a willing mind." * "For the Lord searches all hearts and minds and understands all the wanderings of the thoughts." Therefore, God chooses a man for a leadership position based upon his personal knowledge of Him and of his daily walk in obedience to His commandments. This Biblical basis is the only firm foundation upon which genuine Christians can select a leader! We moan and groan about how far America has fallen from many Biblical ideals, but we keep electing men as leaders whose hearts are not in tune with Jesus Christ or the commandments of the Bible. 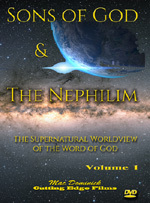 We are now beginning to receive our due Divine Judgment for our sin in selecting ungoldly leaders; God's judgment will culminate with the appearance of Antichrist, but for now, tens of millions of unborn babies have already paid the price for our sin, our nation is embracing gay and lesbian unions and our people have gone rushing after pagan practices and beliefs. Now, let us see what happened to Israel whose leader's hearts were not tuned to God. * God had allowed Israel's foreign enemies to start attacking them. God promised Israel that He would protect the nation from the Philistines if she would stay true to Him in their inner hearts. Any leader's thoughts and plans and actions flow from the musings within his heart. And, the heart is always formed by his religious beliefs. 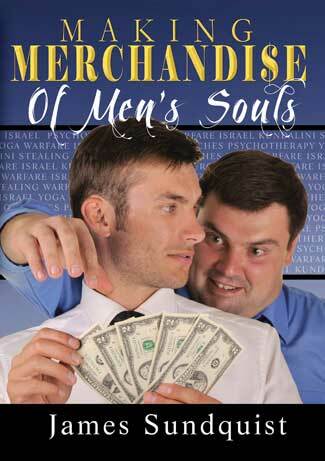 The Bible is consistently clear on this subject from cover to cover. Therefore, genuine Christians cannot support a leader whose heart and mind were formed under the principles of Witchcraft! 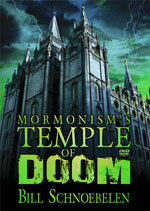 As Bill Schnoebelen proves in his DVD, "Mormonism's Temple of Doom: 2012 Election Alert", Mormonism is active Witchcraft. 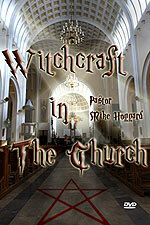 Mormonism is not just a non-christian cult; it is Witchcraft. 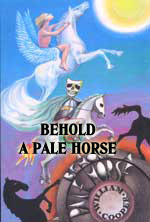 Bill related how he was told by his Druid coven master that "Mormonism was founded by witches for witches" and that the highest level of Witchcraft in the world is practiced in the Salt Lake City Mormon Temple! The Apostle John very plainly warns against supporting any pagan for any office. American Christians simply and plainly are disobeying God and His Bible if they vote for a Mormon or a Muslim for President of the United States! Such Christians will be partaking of the evil deeds which either Romney or Obama commit during the next four years! With some degree of trepidation, we share this YouTube clip from the Catholic Church, presenting their view of the 2012 Presidential Election. While we certainly do not support the Catholic Church in any way, shape or form -- because we recognize her as the church of the coming False Prophet -- we do think they have captured most of the essence of the values for which Christians should be looking as we go to the polls. "Test of Fire: Election 2012"
II. The United Nations may gain new global authorities at the "Rio Sustainability Summit"! Remember Gorbachev's presentient prediction : "The threat of environmental crisis will be the 'international disaster key' that will unlock the New World Order." "The United Nations plans to use its upcoming UN Conference on 'Sustainable Development' in Rio de Janeiro to amass a vast array of unprecedented new powers and literally re-shape civilization, the global economy, and even peoples’ thoughts." 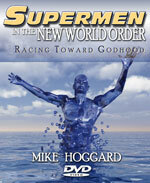 What new powers might the United Nations be interested in obtaining? 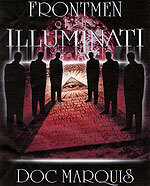 The Illuminati is displaying its arrogance as it drives relentlessly toward a "global environmental crisis" even though the science behind such a crisis has been proven to be completely fraudulent. Yet, as former Soviet dictator, Mikhail Gorbachev, informed us nearly 20 years ago, merely the threat of a global environmental crisis will be the "disaster key" which shall open the door to the New World Order. III. Watch out when shopping your traditional supermarket, poisons abound! Never have so many been poisoned by so few. 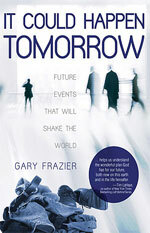 "Supermarkets today are sophisticated palaces of poisons. Their factory fresh 'foods' come in cans and various kinds of packaging. They're loaded with excessive salt, sugar, toxic sugar substitutes, allergenic glutens, and questionable chemicals." 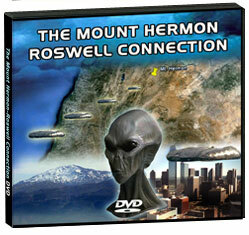 Bill Schnoebelen covers this disastrous situation very well in this DVD. You might never shop the same way again at your favorite supermarket, if you are really concerned about the health of your loved ones. "Sugar substitutes are particularly noxious." * "The most used is high fructose corn syrup (HFCS). You need to start refusing to ingest foods containing HFCS! * "Aspartame (using brand names like Equal) is considered a leading toxin by professional toxicologists." * "Sucralose (Splenda is the big brand name) is a chlorocarbon, made by marrying chlorine and carbon molecules. Chlorine undermines the immune system." Conclusion? "avoid sugar substitutes, except for Xyitol and stevia." "What should you eat? Exercise guru, Jack La Lanne, on the 'Larry King Show', answered that question recently, saying 'If man made it, don't eat it'. That says it all - very simply." The bottom line to this article is excellent. "Eat right, take nutritional supplements and vigorous exercise. But if you eat poorly, health insurance, hospitals, doctors, synthetic drugs, exercise and supplements are all useless. If you refuse to stop eating poorly, it's a good idea to pre-plan your funeral now. Only an undertaker can give you the help you'll need, if you will not eat right." "If you put garbage in a can, it becomes a garbage can. Don't put garbage in your temple, your body." 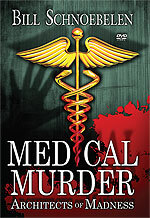 One of the most useful parts of information Bill Schnoebelen provides in "Medical Murder" is a listing of healthful foods and healthful medicines available which replace the processed foods you should not eat and the chemical medicines which we must avoid at all costs. Finally, remember that Big Pharma and Big Government are working hand-in-hand to maximize corporate profits. But, there is more about which to be concerned. 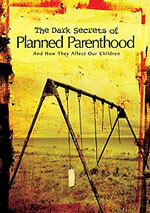 Big Government is controlled by officials who are committed to the global population control program. Listen to this key quote explaining population control in this period before the New World Order. Now you know why our medicines and our foods have been redesigned to kill us! 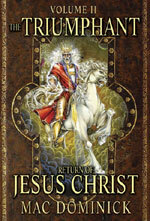 Jesus is coming back soon! Theres no doubt about it. 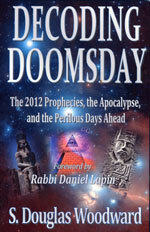 Its time we get prepared by getting back to the clear teaching of Bible Prophecy! 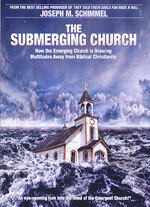 This study is pretty intense and is a huge smack in the face to an apathetic American Church. 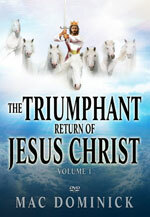 DVD Volume 1 teaches Rev 1:1 -4; The Rapture is dramatized in a most unusual, dramatic and powerful manner. 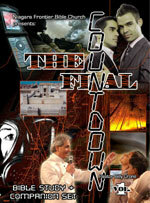 Tears came to my eyes when I watched the "Rapture" dramatization. This dramatization just might get someone saved! 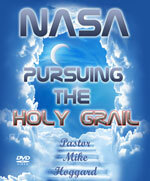 DVD Volume 2 teaches Rev 1:4-8; What a glorious study this DVD presents, of the risen, glorious, and triumphant Savior coming back to earth! 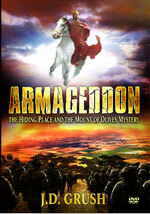 The last scene of the DVD is a wonderful 4-minute dramatization of Jesus' final return to the Earth in fulfillment of Matthew 24:29-30! 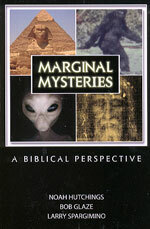 DVD Volume 9 teaches 2:18-20d; shows how conditioning to take Mark of the Beast is being advanced. 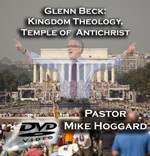 DVD Volume 10 teaches Rev 2:12-17; includes updates on the Mark of the Beast technology, progress on rebuilding the Jewish Temple, and how the push for Global Vaccination is tied into Global Implantation under Antichrist! 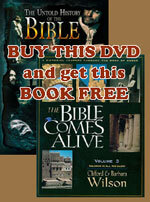 DVD Volume 11, teaches Rev 2:18-20d. Reveals that the Church of Thyatira (the church that tolerated sin) has reappeared, alive and well in America and in the Western World. 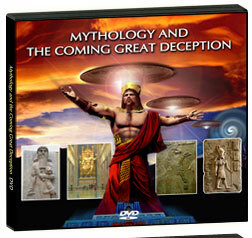 DVD Volume 12, teaches Rev 2:21-29Church of Thyatira, Part 2, Jesus gives a serious strong warning to the false teachers who would dare invade His Church. 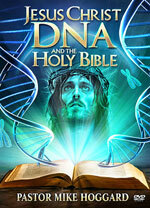 DVD Volume 13, teaches Rev 3:1-2b. Church of Sardis - The rotten dead church: Jesus warns them 'REPENT OR DIE"! 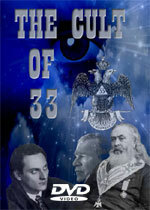 DVD Volume 14 - Covers Rev 3:2c-6 - New technology is exposed that not only reveals how people could interact with the image of the antichrist but even worship it, given orders to obey it, and all in real time interaction. 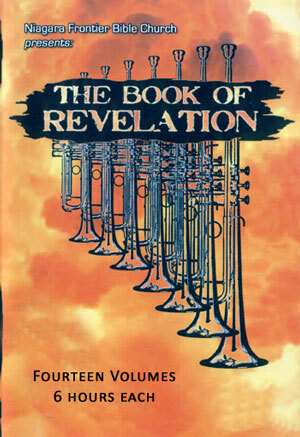 COMBO DVD OFFER: Dynamic 'Book of Revelation' Study - All Fourteen DVD Volumes -- all 42 DVD's - On Sale! Regularly $419.86, now only $149.94. There are many occasions in our experience when we may very rightly, and with benefit, renew our covenant with God. After recovery from sickness when, like Hezekiah, we have had a new term of years added to our life, we may fitly do it. After any deliverance from trouble, when our joys bud forth anew, let us again visit the foot of the cross, and renew our consecration. Especially, let us do this after any sin which has grieved the Holy Spirit, or brought dishonour upon the cause of God; let us then look to that blood which can make us whiter than snow, and again offer ourselves unto the Lord. We should not only let our troubles confirm our dedication to God, but our prosperity should do the same. 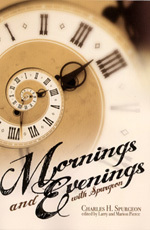 If we ever meet with occasions which deserve to be called "crowning mercies" then, surely, if He hath crowned us, we ought also to crown our God; let us bring forth anew all the jewels of the divine regalia which have been stored in the jewel-closet of our heart, and let our God sit upon the throne of our love, arrayed in royal apparel. If we would learn to profit by our prosperity, we should not need so much adversity. If we would gather from a kiss all the good it might confer upon us, we should not so often smart under the rod. Have we lately received some blessing which we little expected? Has the Lord put our feet in a large room? Can we sing of mercies multiplied? Then this is the day to put our hand upon the horns of the altar, and say, "Bind me here, my God; bind me here with cords, even for ever." Inasmuch as we need the fulfillment of new promises from God, let us offer renewed prayers that our old vows may not be dishonoured. Let us this morning make with Him a sure covenant, because of the pains of Jesus which for the last month we have been considering with gratitude.